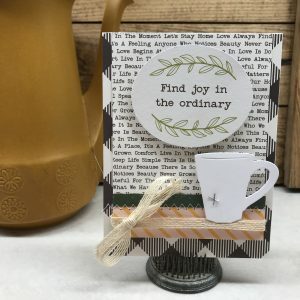 Along the Way with Guest Designer Laurel! - Pebbles, Inc. 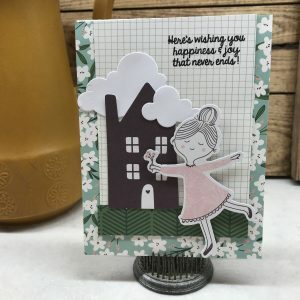 Along the Way with Guest Designer Laurel! Hi everyone, Laurel here! 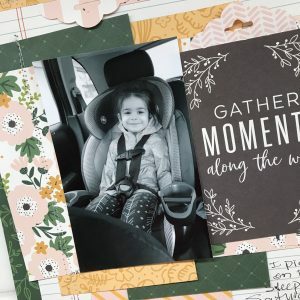 I am so excited to be a guest designer today! I have always loved Pebbles products and playing with them is so easy. 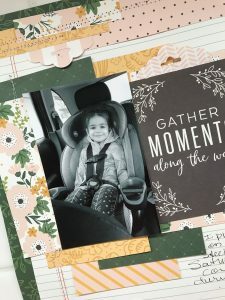 I was given the Along the Way collection to create with and it was perfect for documenting some family moments as well as creating some cards. First up, I dug right in to create some layouts. 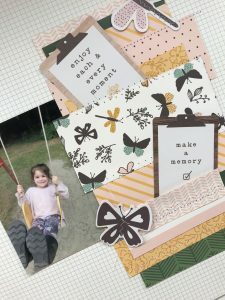 I love the colors and happy go lucky feel of the collection so I used it for documenting my grand daughter’s love for swinging. She would swing all day if I would push her. 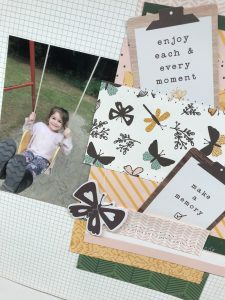 My layout is pretty simple, but I always want the focus to be on the photos and in this case, that happy smiling face. I cut strips of paper and just layered them beside the paper, tucked in some ephemera and added stitching. I then stitched on some of the insect die cuts. The next layout once again, involves using some paper strips. I used some of the ones left over from my first layout and went from there. I then tucked bits and pieces behind the photo, stitched and added a die cut. The die cut is mounted on foam squares. 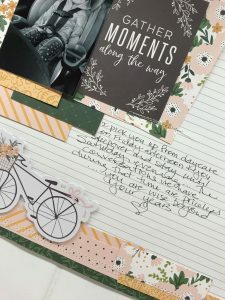 I started creating traveler’s notebook pages as a form of memory keeping and am loving those! 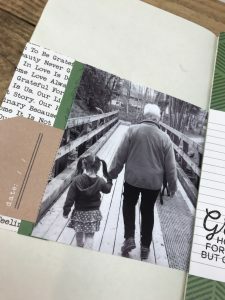 So quick and easy and such a great way to document special moments. In this case this is a photo of my mom and my grand daughter that I snapped one day. I love this photo for many reasons and had to scrap it. 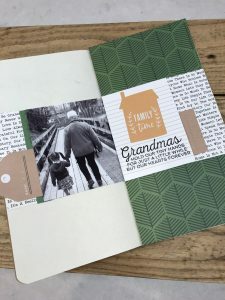 Some simple layering of the papers and ephemera made for a quick project. The tag has been cut in half with each half tucked in behind some of the papers. Finally, I added a stamped sentiment that captures the photo perfectly! Next up, my cards. 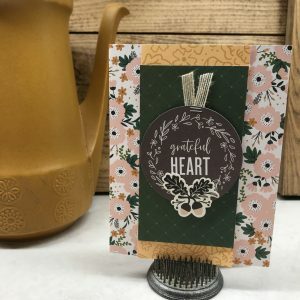 Once I have broken into a collection, I then like to use some of the smaller pieces to create cards. Once again, simple layering of papers and ephemera with some mounted on foam squares for dimension. I am a sucker for any check/plaid/gingham so I had to use that buffalo plaid on at least one project! I hope that you have enjoyed my projects today as much as I enjoyed creating them!